Mechanical Engineering Department offers educational programs designed to prepare students for professional career by developing a sound base in fundemental engineering scienmes. 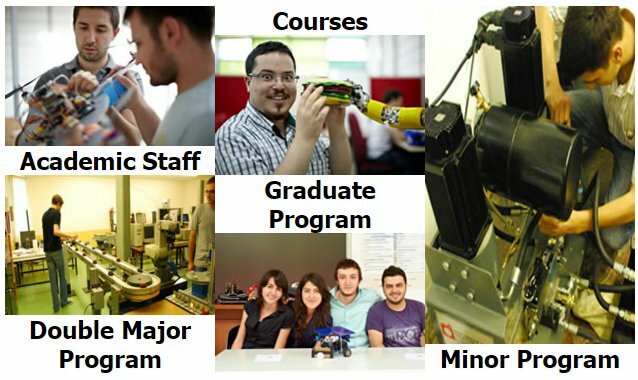 The program is intended to develop initiative, creativity, talent, leadership and the capability to develop, follow and adopt new technologies in the field of mechanical engineering. A variety of courses covering basic and specialized subjects in themal and fluid scienmes, energy systems, applied mechanics, design and production, theory of machines and control systems are offered. Lectures are supplemented by tutorials, use of computers, and experimental work in various laboratories.